If you truly value your physical appearance, it is very important that you take good care of your teeth, always. Even though this is easy to say, it takes a lifetime of consistent care for you to achieve healthy teeth. Yes, it could be that you were born with a naturally beautiful set of teeth. However, that beauty will be gone and could be lost if you fail to take good care of your teeth. The first step to include in your daily dental hygiene routine is choosing the right brush. There is this misconception that adults should use larger toothbrushes, without knowing that the best is a brush with a smaller head. It's also important to choose one that has smaller bristles that could easily reach into the deeper part of your mouth, especially the crevices within your molars. They are good hiding places for food debris. The fact that you brush twice daily does not mean you are maintaining good oral hygiene. You have to brush properly and this entails taking not less than two minutes to brush every part of each of your teeth. If possible, you can time yourself in order to ensure that you don’t brush for less than two minutes. This is especially important if your brush does not have a tongue-scraper back. Use a specially designed tongue scraper to carefully but properly scrape your tongue. This step is important because even after you are done brushing your teeth, you might still have some bacteria on your tongue. One sure way of getting bacteria off of your tongue is through scraping. After you are done brushing and scraping, the next crucial step is to floss. If there are food particles still hanging somewhere in between the gaps in your teeth, another sure way of getting rid of most of them is by flossing. The recommended length of floss is approximately 18 inches. This is to ensure that you use a fresh area of the floss for every few teeth in order to avoid reintroducing bacteria into your teeth. This is the final step in your daily dental hygiene routine. After the brushing and flossing, you should use a good antimicrobial mouthwash to rinse your mouth. There are various brands out there in the market and they are developed to help your mouth get rid of bacteria and plaque. Make sure to swish vigorously for no less than 30 seconds before spitting out the mouthwash. 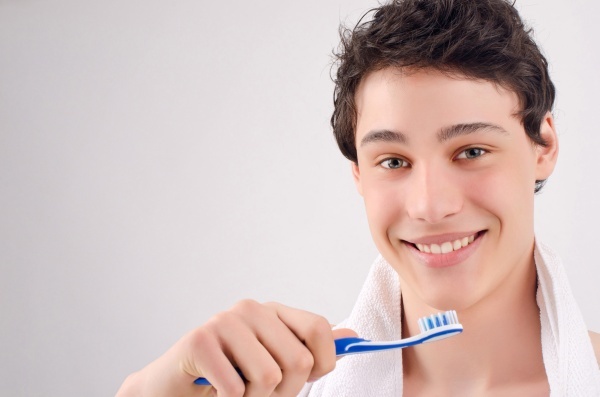 The above are the 5 crucial steps that you should include in your daily dental hygiene routine. You should also make sure that you properly clean your brush after each use and avoid covering the toothbrush as this could lead to breeding of new bacteria on your brush. This could lead to oral health issues if you continue to use the same brush. And yes, avoid sharing brushes with other people, not even your children or spouses.